Virtually every type of space needs some type of acoustical control to ensure the comfort and safety of the people who will spend time there. For example, even the most well-designed office will be an unproductive place if people are bothered by noise from adjacent areas. TechStar Industries offers a wide range of products to solve the unique acoustical challenges presented by a wide range of applications including: gymnasiums, multi-purpose rooms, offices, entertainment facilities, music rooms, government facilities, airports, stadiums, swimming pools, classrooms, cooling towers, and more. 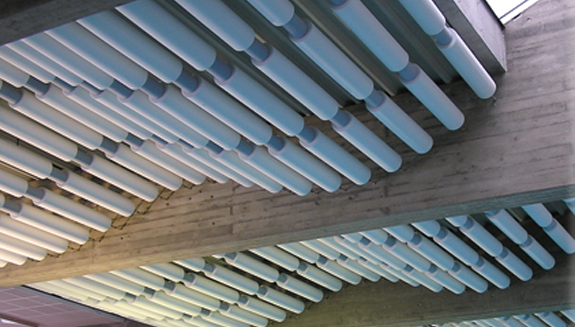 As a leading supplier of acoustic control systems, our large and diverse product range includes everything from anechoic test chambers and aircraft hush houses to audiology rooms, machinery enclosures, highway and HVAC barriers, acoustic doors and windows, test facilities, and power plant silencers. TechStar supplies operable walls for conference centers and meeting rooms as well as music rooms for schools. We provide sound control windows with exceptionally high acoustical performance ratings, up to STC 59. All acoustic window assemblies come complete with frames, stops, glazing, sound-absorbing material and concealed fasteners backed by certified laboratory tests and field performance data. Modular Facilities are speech privacy enclosures such as Vaults, Strong Rooms, Sensitive Compartmented Information Facilities (SCIFs), and RF Shielded Enclosures which provide a secure environment for cleared personnel. SCIFs also provide a secure facility in which to process and store sensitive documents. Operable partitions also known as room dividers, movable walls, glass partitions, and accordion folding doors are available in an array of sizes, configurations, acoustical ratings and finishes. 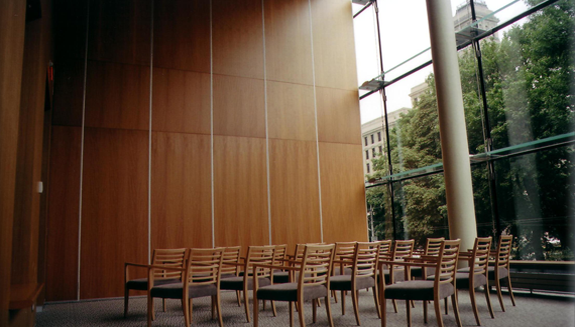 Our operable partitions set the standard for quality, durability, acoustic separation, and ease of movement. 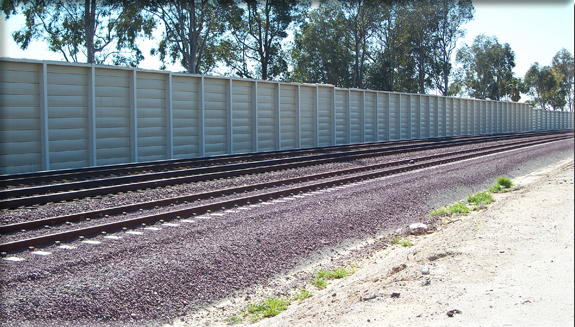 An acoustic barrier wall can reduce noise by as much as 20dB-A depending upon the height and size of the noise source in relation to the location of the noise receiver. 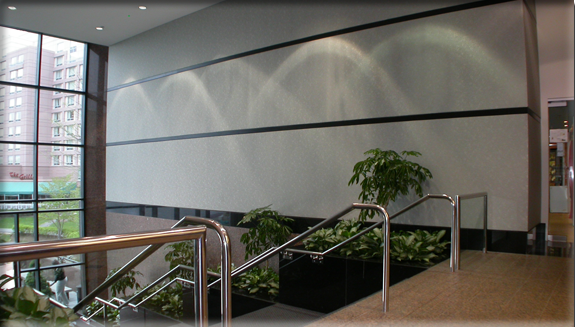 TechStar Industries provides a complete range of certified, high-performance acoustic barrier walls for the Power, Manufacturing, HVAC, Transportation and Sporting sectors. Our acoustic environments encompass a wide range of acoustic solutions that include doors, windows and modular components that effectively control noise from an ‘out to in’ or ‘in to out’ function depending on the users requirements. 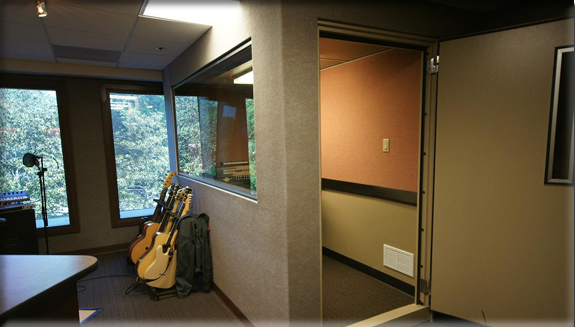 We can help create environments for Broadcast and Recording Studios, Sound Booths, Test Chambers, Music Practice Rooms, Factory Offices and Machinery Enclosures.